I got my little bag of Peachy Lychee at a local DavidsTea store after the person behind the counter went on and on about this one. She said it was her new favourite (when iced) and I had to have a sniff. The first thing that I smelled when exposed to the dry leaf was peaches. Peaches, peaches, and more peaches. And then there’s the sweet, floral aromas that balance quite well with the peaches. If you’ve never had lychees before, I would describe them as having a sweet and crisp floral aroma. They’re quite a delicious fruit, if you ever get the chance to eat them. 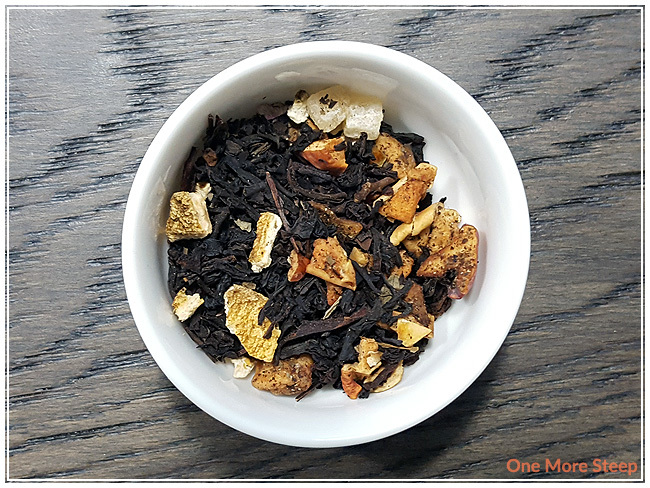 Peachy Lychee is a black tea blend, the ingredients are: black tea, apple, candied pineapple, orange peel, sweet blackberry leaf, white hibiscus, peach, lychee, and natural flavouring. It never ceases to amaze me how prominent apple can be in fruity tea blends, despite not being anywhere in the title. Apple, however, does go well in a fruity tea as it adds a nice level of sweetness that I always enjoy. 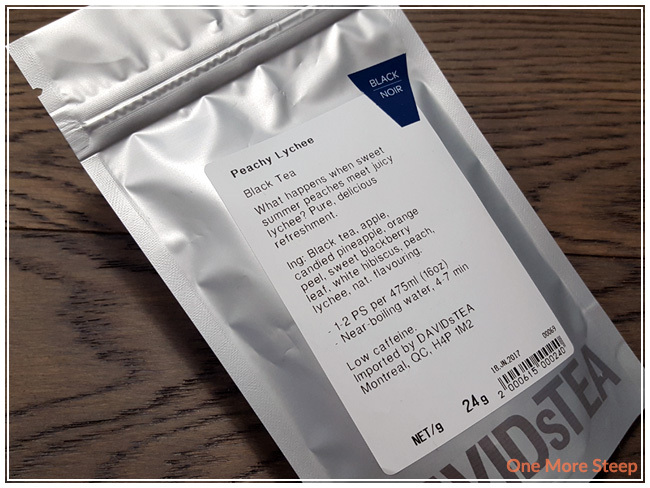 DavidsTea recommends steeping Peachy Lychee in near-boiling water for 4-7 minutes (as per their website, ‘near-boiling’ is 90-95°C (194-203°F). My initial steep of Peachy Lychee was for 5 minutes. Peachy Lychee steeps to a beautiful golden yellow (it’s a bit more orange when you have larger amounts of it… more about that later). The aroma that comes up from the steeped tea is solely peaches. After letting it cool down just a little bit, I had a sip. 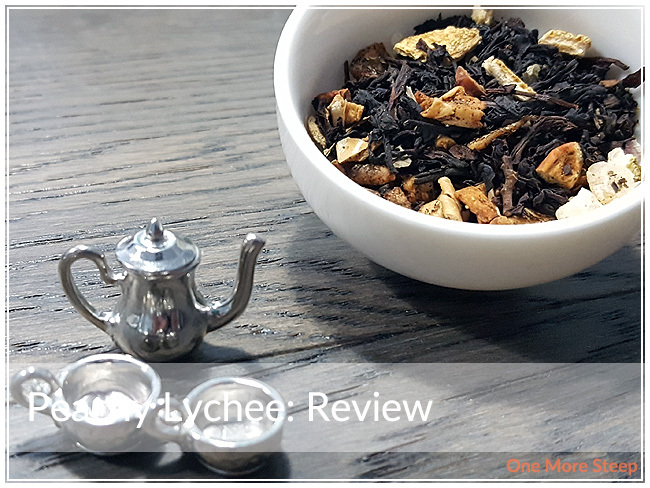 The taste of this tea was a good mix of fruity and floral – the peaches and lychee flavours are quite good. 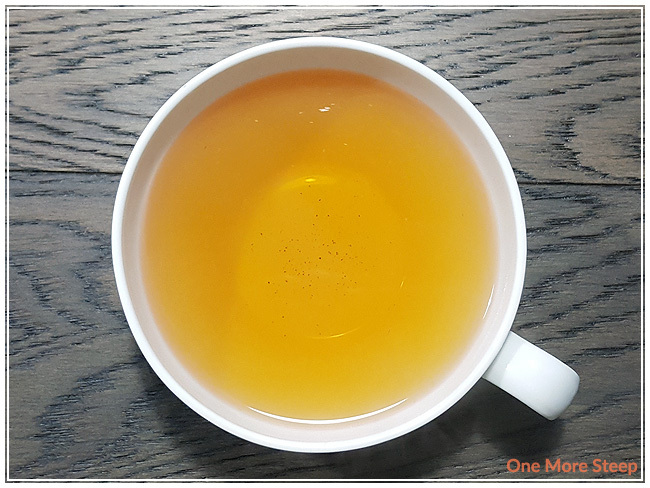 I did add some sweetener to this tea (honey, for those curious) and found that it really helped to add an extra punch of sweetness to it while helping to brighten up the flavours. I wound up icing this tea as well and found it to be delicious. Iced, the peach and lychee flavours were more refreshing. I would recommend having this either iced or cold steeped. I did try to resteep Peachy Lychee and found that it didn’t really hold up to being resteeped. The fruity and floral flavours that I loved so much in the first steep were weak in the second steep. I would say that Peachy Lychee is good for one steep only. I loved DavidsTea’s Peachy Lychee. 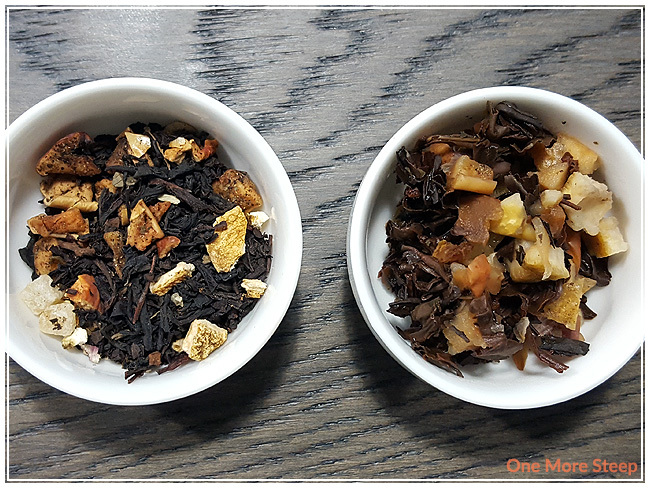 This fruity black tea blend does an okay job as a hot tea, but it definitely ticks all the boxes for me as an iced tea. The aroma and flavour of this tea, both dry and steeped, are delicious. The floral sweetness from the lychee is present and isn’t overpowered by the peachy flavours that most people would be familiar with. I would highly recommend having this tea either iced or cold steeped, and a little bit of sweetener goes a long way in brightening up the flavours and making it even more refreshingly delicious.